I am a graduate student at UW-Milwaukee in the United States and I am currently doing object research at the Milwaukee Public Museum. 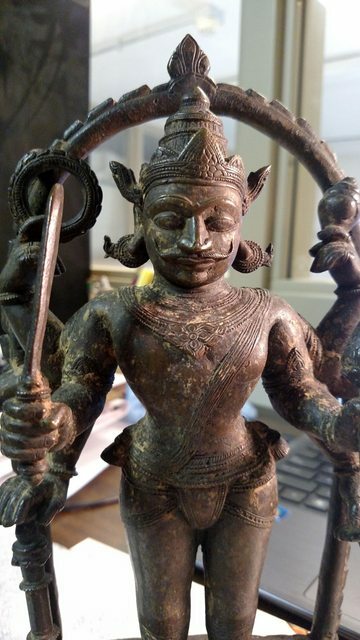 The specific object I have a questions about is listed in the catalogue as an eighteenth century bronze Statue of Shree Vishnu from Bengal, India. 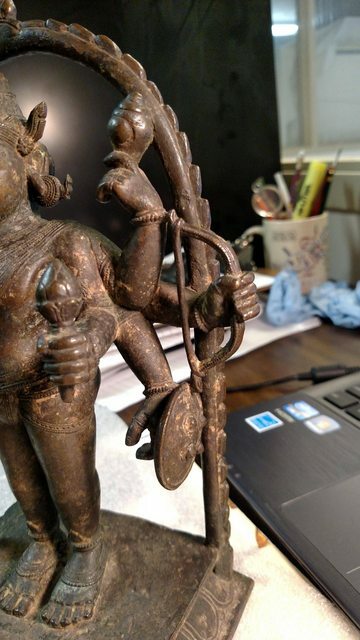 What is peculiar about this object is that it has eight arms (instead of the traditional 4) that hold a conch, bow, shield and lotus flower on the left, and a discus, sword, mace, and one unidentified object on the right (through my research I have not been able to find a match, and there is a possibility that part of the object has broken off making identification difficult); he also has a mustache which I have seen on very few other depictions. 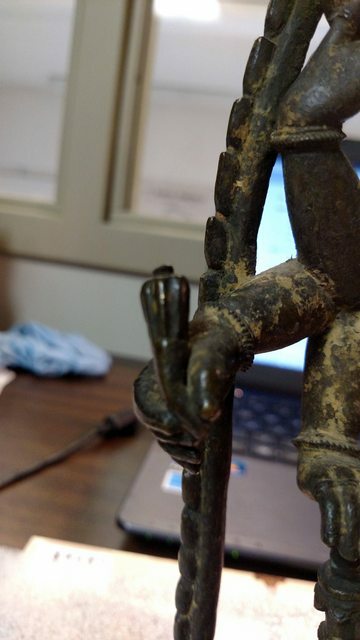 Is the style of this object reminiscent of Indian/Hindu culture, or is it possibly Southeast Asian? Does anyone know what the unidentified object is and its symbolic properties? Is there any symbolism attached to all of these objects being together? 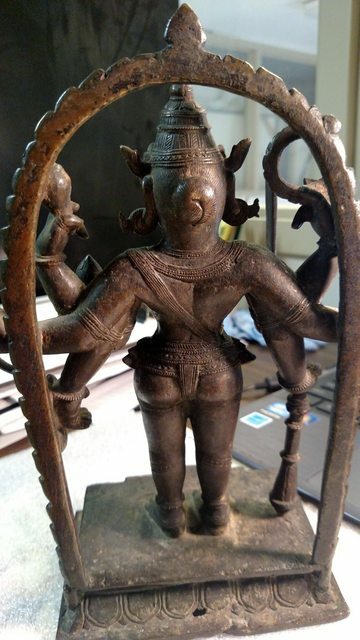 Is this figure supposed to represent one of Vishnu's dashavatara, or possibly the form he took to fight Kali or any other God? Can anyone confirm the age and provenance of this object? Browse other questions tagged vishnu identification-request idols . Who is this? Is it Nrihingha Dev?